According to a new study, it’s possible that kids are really sensitive to bright lights — specifically, exposing young kids to bright light in the evening may make it more difficult for them to fall asleep. 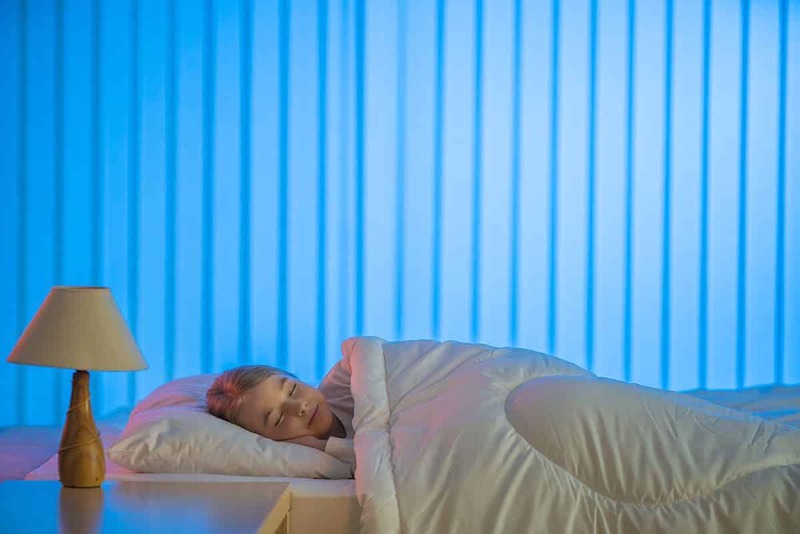 Researchers found that one hour of bright light exposure before bedtime meant that preschooler’s bodies were less likely to produce melatonin (that’s a hormone that helps tell your body when it’s time to go to sleep). Researchers followed 10 children – aged 3 to 5 – over the course of a week, taking regular saliva samples to test their melatonin levels. The children followed a strict bedtime schedule in the first five days. On days six and seven, the children were told to play at a “light table” — which exposed them to bright light — before they went to sleep. According to the saliva analyses, kids had 88 percent lower melatonin levels after bright light exposure compared when there was no bright light exposure. What’s more, their melatonin levels stayed low for almost an hour after exposure to bright light. It’s important to note that this study was extremely small – only 10 kids participated overall. Nevertheless, the findings are quite interesting. Another researcher involved with the study, Monique LeBourgeois, explained to ScienceDaily that the intensity of the light the kids were exposed to — 1,000 lux — is more intense than the light a normal computer or TV screen gives off. (For reference, one “lux” is the amount of light a candle gives off when you are a meter away from it). Nevertheless, the study suggests that screen time and bright lights before bed could make it more difficult for kids to fall asleep, and the researchers have urged parents to think carefully about their kids’ pre-bedtime habits as a result.